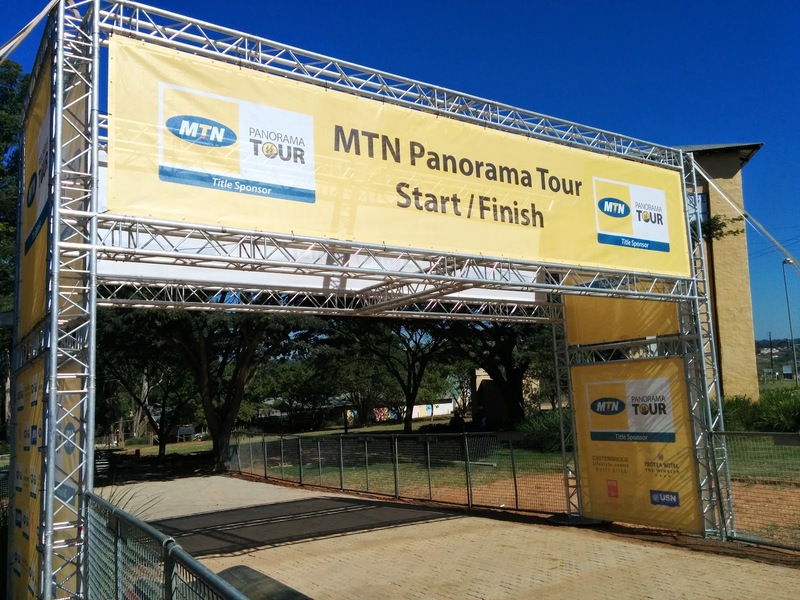 Once a year, in a far flung corner of South Africa, several hundred intrepid road cyclists gather for the annual Panorama Tour. White River is transformed from a sleepy hollow village to a hub of cycling activity. 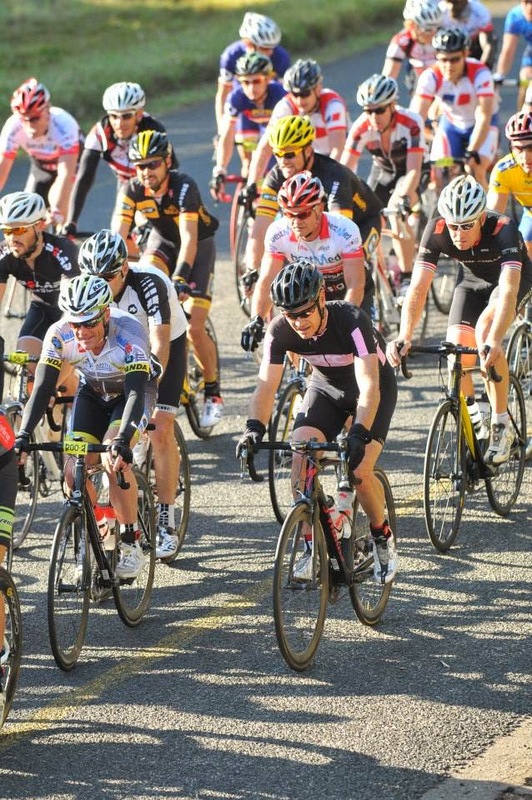 Despite this being the Tour's ninth year, the locals still aren't accustomed to seeing so many lean, lycra clad people riding skinny wheeled bikes in one place, and it's not uncommon to receive a strange look, or overhear a whispered comment wherever you go. It takes a special kind of person to tackle the challenge of the Panorama Tour, usually falling into one of two categories (and occasionally both). The first is the mountain goat - that special breed of cyclist that weighs less than a 6 year old, looks like they could do with a hearty meal, and usually stands around 5 feet tall. Then there are the sufferfest addicts - those cyclists that relish the challenge of spending hours in the pain cave, surviving on mental strength long after the physical strength has been sucked from their bodies, pushing their limits further and further in a desperate attempt to stay in the peloton for just one more hill. And that is what the Panorama Tour is all about, hill after hill after hill. It's quite obvious that Captain Craig and I don't fall into the skinny mountain goat category, and despite being above average climbers in the thicker air of Cape Town, the thin mountain air of the Lowveld clearly shifted us into the pain warrior category. Having ridden this event several years ago, we knew what the 4 days ahead had in store for us. Knowing that we weren't in great race shape thanks to our crazy adventure at The 36One Challenge we agreed to ride with our brains and not rely on brawn. Follow the wheels, stay out of trouble, and save the legs for hills. Stage One is supposed to be a gentle introduction to the hills and dales around White River, but due to the poor condition of some of the roads, an alternate route lay in wait for us. A route that included far more hills than I was prepared for. Shortly after the gun I knew that I was in for a world of suffering as I struggled to stay with the bunch in the neutral zone. Just as I was getting warmed up and ready for a comfortable ride in the peloton, a crash at the front caught Captain Craig and myself out and so our torment began as we chased the peloton for 15kms. The only benefit to riding on our own was that we got to see the potholes coming, rather than be suddenly surprised by them. If the route we were riding was the better option, I'd hate to see the state of the roads on the original route. Each patchwork collection of potholes was usually followed by several abandoned bottles, and a little further on, one or two forlorn looking cyclists frantically fixing punctures. The Voracious Llamas (our team name - we don't take ourselves too seriously) probably had 30 minutes of easy riding in the safety of the peloton before we headed down a mountain pass. I did a decent job of conquering my fear of going downhill fast and managed to not lose too much time to Captain Craig, but I felt a growing fear in the pit of my belly. As it was an out and back route, I knew were would shortly be going back up the pass, and although I was hoping my climbing legs would make a miraculous return, I secretly knew I'd left them behind in Cape Town. At the bottom of the climb we immediately jettisoned some of the larger guys as I tried my best to hang on to the bunch. Slowly but surely the mountain goats ripped the bunch apart, leaving a small group of riders caught in no man's land. Looking around, I saw my the familiar figure of Red John. But something was wrong. 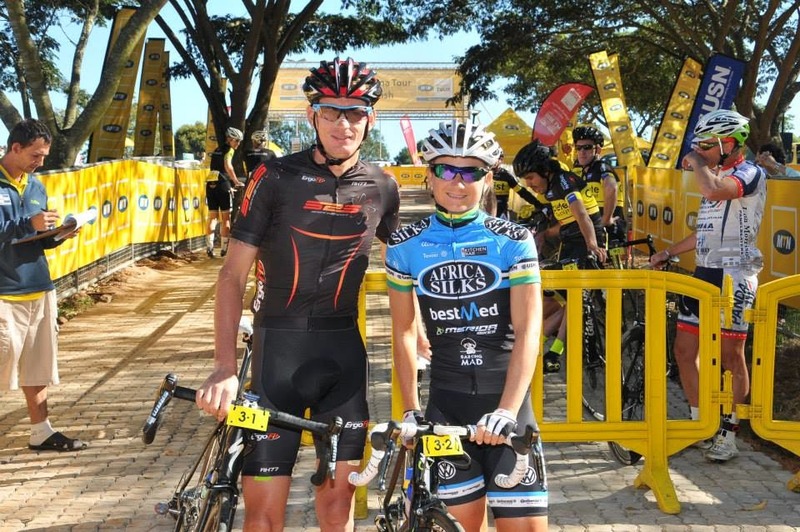 Instead of me hanging onto his reinforced pocket, he had a new tag along - Anriette Schoeman - the Pocket Rocket (I don't think she got that nickname from hanging onto pockets, but it did seem quite apt). As I dangled off the back of our small bunch, trying everything to awaken my comatose legs, all the while suffering like a sled dog, the haze of pain would clear and I'd catch a glimpse further up the road. 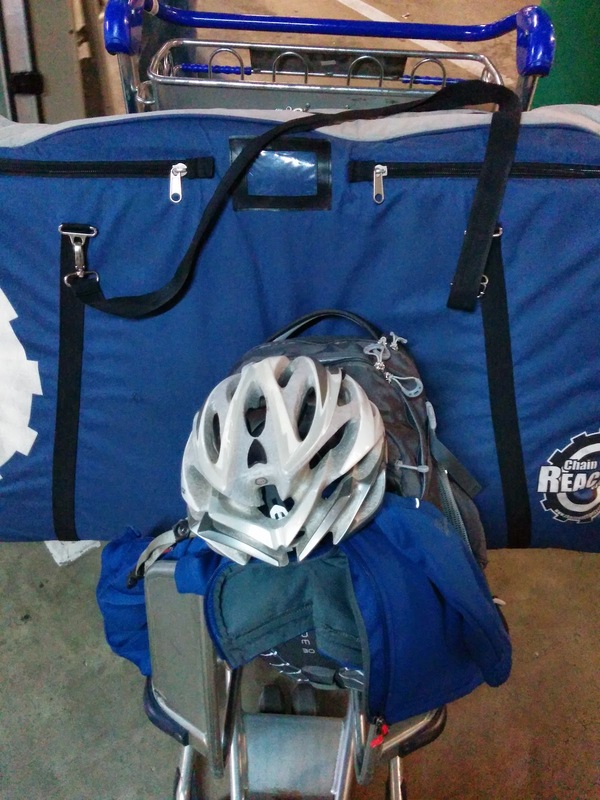 I'd see cyclists hanging onto their partner's pockets or gladly accepting the Hand of Shame. As I looked around for my partner, hoping that a similar service would be extended my way, I finally caught sight of him. On the front. Driving the pace. He was the reason I was dangling. The reason I would vomit a little into my mouth with each acceleration. 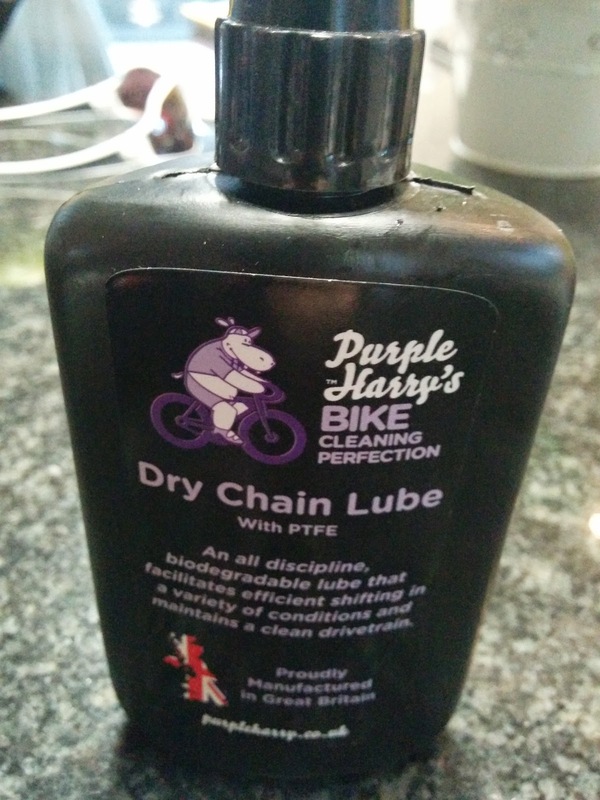 The reason the snot was dripping from my face and making a mess of my bike. I gave everything I had to stay in contact up that climb, and as we crested the top, Captain Craig and I jumped across to a small chase group, leaving our companions behind. Up ahead we caught sight of a largish bunch which would offer us some safety and protection, and the promise of an easier ride to the finish. Purple Harry. At times I felt like a Hippo on a bike! For the second time that day we chased, Captain Craig doing most of the work while I tried to recover. We soon made the junction, and I looked forward to some quiet time. My partner however wasn't as content to sit back and enjoy the scenery. Like bookends on a bookshelf, there was a HotChillee rider at either end of our little group, one riding with brains, and the other relying on brawn. 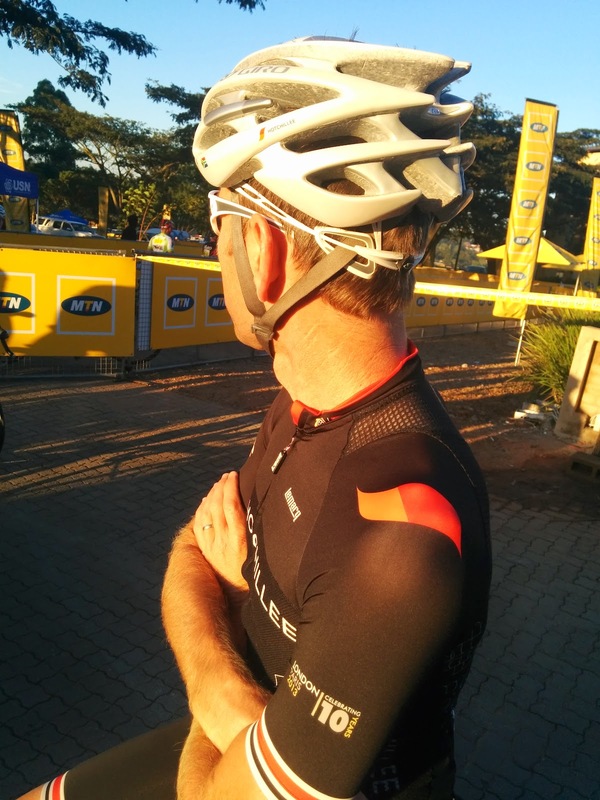 With 20kms to go Captain Craig finally peeled off the front and gave me The Look. Not the Armstrong-Ullrich Look, but rather the "I did too much on the front and my legs are finished" Look. I'd be lying if I said I didn't derive a slight bit of joy from that. The Voracious Llamas continued to toil away, knocking off the remaining kilometres. I'd also be lying if I said I didn't enjoy dishing out the Hand of Shame to the now well cooked Captain Craig - given the state of my legs, I doubted I'd get many similar opportunities on this Tour. 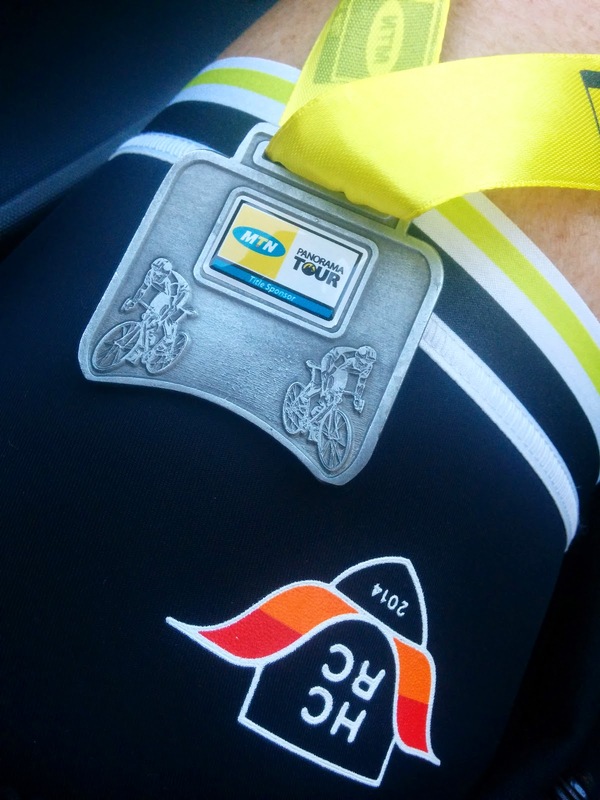 Stage Two was billed as a rest day - a gentle roll down to Nelspruit, with a few bumps back up to White River - the perfect day to convince my legs that going uphill wasn't so bad. After a far more sedate neutral section the racing got under way and almost immediately I realised that once again my legs weren't going to come to the party. Between my fear of dying at the bottom of a pothole the size of a small European country, and my inability to ride up hill, I again found myself dangling off the back of the bunch. Thankfully, Captain Craig was paying attention, and came back to offer some assistance. Not a pocket or the Hand of Shame kind of assistance, but some silent nurturing up the hills until we were able to mount a real chase on roads more suited to our physiques. We made it safely back to the protection of the herd, although I could sense Captain Craig wasn't looking forward to having to repeat this too often. I tried to make a concerted effort to look around and take in some of the beautiful scenery of Mpumalanga during a respite in the pain and suffering. We hit the 50km mark just outside Nelspruit with an average of 39km/h, and from there on there was only one way back to White River - up. My legs performed admirably, given the poor form they were in, and we were able to ride in the second group on the road - the group containing the leading contenders for the mix category including Red John and his Pocket Leach Anriette. While I was quite envious of all the people hanging onto pockets, I also found some new admiration for the racing ladies. As tough and as hard as I was finding it, you could tell that they were having just as tough a time, digging deep into their reserves of happy thoughts and memories in an effort to numb the pain. Hanging onto a pocket isn't a magic carpet ride - they're only doing that because they are already on the limit. 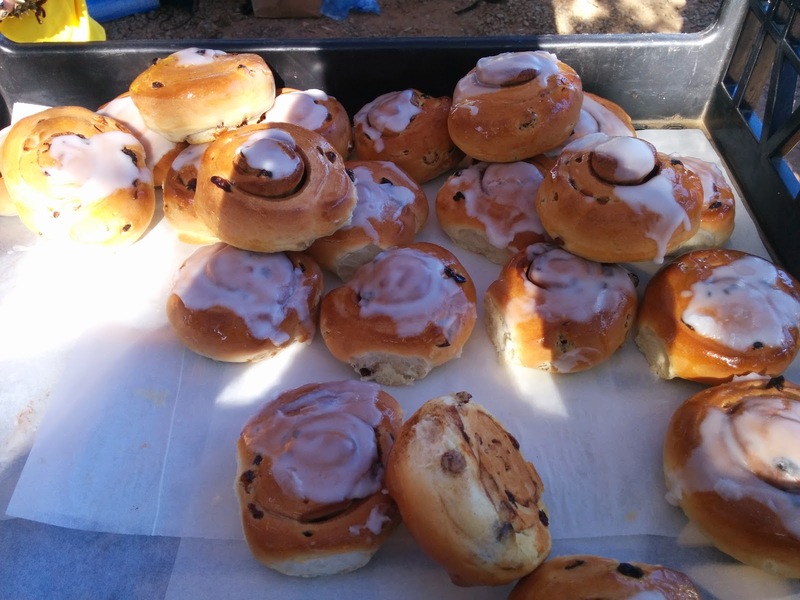 After what seemed like an eternity of conquering hill after hill we made it back to the sanctury of the finish line and our rewards for the day's efforts - the tastiest chelsea bun you'll ever taste. Despite the Tour being halfway done, the Queen stage awaited. If I'd suffered so much on the easy day, what was the following stage going to bring? As tough as I was finding the riding, The Voracious Llamas were doing well - top 20 on the general classification, and top 10 in our category. The real question was whether we could hang on to those positions. Stage Three dawned to near perfect weather after a thunderstorm the night before. We lined up for the start, looking around rather tentatively, wary of the hills that lay in wait for us. After a rather sedate start things began to pick up as we approached the first climb of the day. For the third day running, I'd left my climbing legs behind, and I was once again relegated to dangling off the back of the bunch. This didn't bode well for the big climb later on, but right now, that didn't matter. We'd deal with that challenge when it came around. Using every muscle in my body I somehow managed to stay in touch with a fair sized bunch as Captain Craig once again set the pace on the front. I'm not sure he felt the dagger stare I was giving him, as I wished all sorts of evil things upon him. As my legs started to weaken I encountered the click that no cyclist likes to hear. The click that happens when you ask for just one more gear and the gear shifter responds by letting you know that you are already in the easiest gear. The click is usually followed by the stare of disbelief - the look back at your rear wheel to confirm that the shifter isn't lying. The reality is that the shifter never lies, and no amount of looking at the gears will magically invoke an additional one. 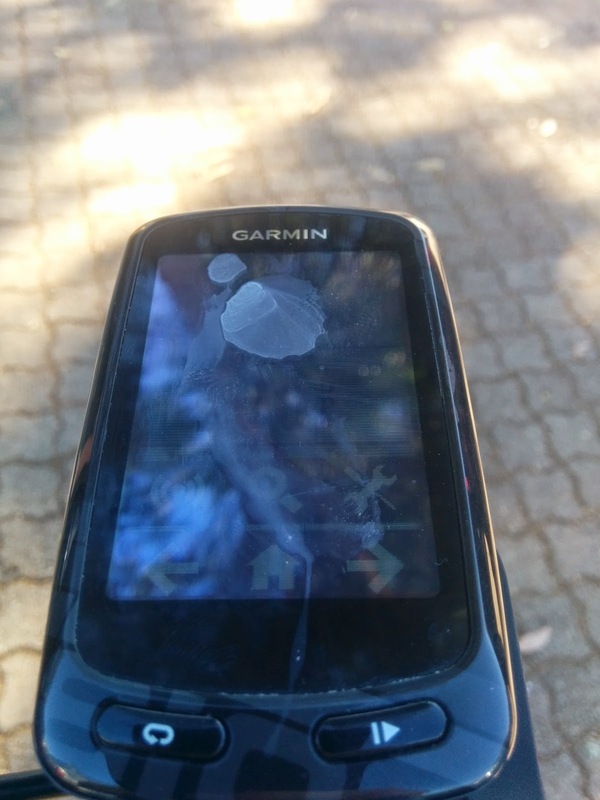 It came down to a duel between my brain and my legs - my legs wanting to throw in the towel and my brain determined to hang on to the back of the bunch. While it could have gone either way, my brain eventually won as we crested the top of the climb. A small victory for now in the larger brain versus legs battle. 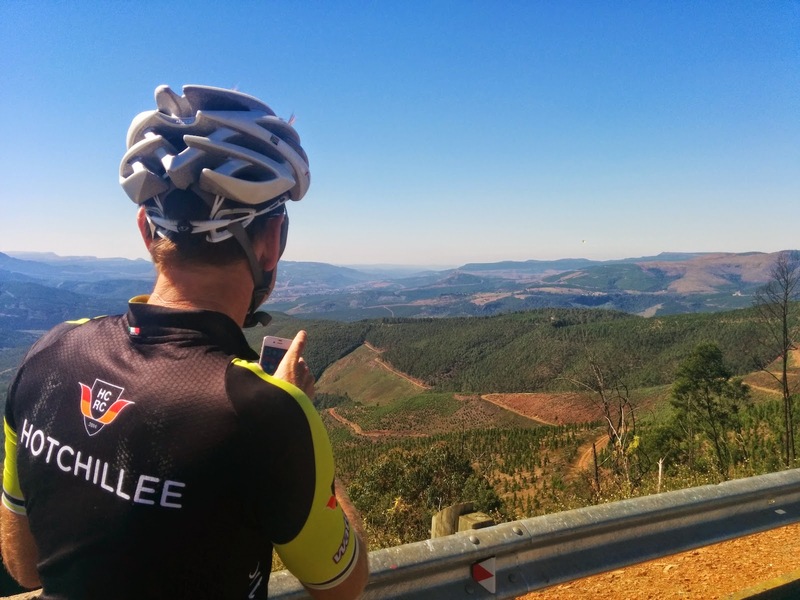 Our reward was a fast and furious descent into Sabie, and as much fun as the descent was, we all knew what lay in wait for us - a 9km climb up the feared Long Tom Pass. The early slopes lulled me into a false belief that I might have found some climbing legs, which was dramatically shattered by Red John and the Pocket Rocket as they attacked the other mixed teams. While I wasn't the first rider out the back of the bunch, I was an early casualty. Unlike the previous climb, Captain Craig dropped back almost immediately, and with some quiet words of encouragement guided me up the hill. Anything more than quiet encouragement would have been greeted with either a slap or industrial action like a go slow or strike. Other riders weren't as lucky as we had to endure the endless encouragement and motivation poor old Barry was on the receiving end of. Barry is certainly a far more tolerant partner than I am, although it was quite gratifying dropping him and his partner just so that there could be silence in the bunch. By the top of the Pass we were several hundred metres off the peloton, and it looked like we had a tough and lonely 50km ride ahead of us to the finish. We did have two things in our favour - we'd just hooked up with two riders in a similar situation, and we were on territory that I prefer - rolling hills. With the peloton in sight, we powered along, slowly but surely making up ground, until we were within touching distance. Feeling like pros, we worked away through the cars stuck behind the peloton, giving it everything we had. We made the junction, and the safety and security of the bunch, and promptly discovered that Barry had too. We got the full French five finger countdown! While life at the back of the peloton was warm and cosy, The Voracious Llamas knew the last few climbs on the outskirts of White River would be our (well, my) undoing. After once again successfully navigating the craters that the locals casually refer to as moderate potholes, we hit the hills and I went backwards almost immediately. Just as quickly, Captain Craig offered up The Hand of Shame, which I gladly accepted. While beggars can't be choosers, I have to say that Captain Craig was a bit miserly in the application of The Hand. If I am going to sink to such depths, I expect to get good value for my shame. As we limped up the climbs, oblivious to everything but the haze of pain surrounding us, I discerned a faint recognisable drone coming from behind. Barry! Or more accurately, Barry's partner. That was all the motivation I needed, and using the last remaining ounce of strength left in my spaghetti legs we clawed our way over the remaining climbs to the finish. Anything for some peace and quiet. The final day of the Tour dawned, and as much as I hated the climbs of the previous days, Stage Four was the stage I really feared. 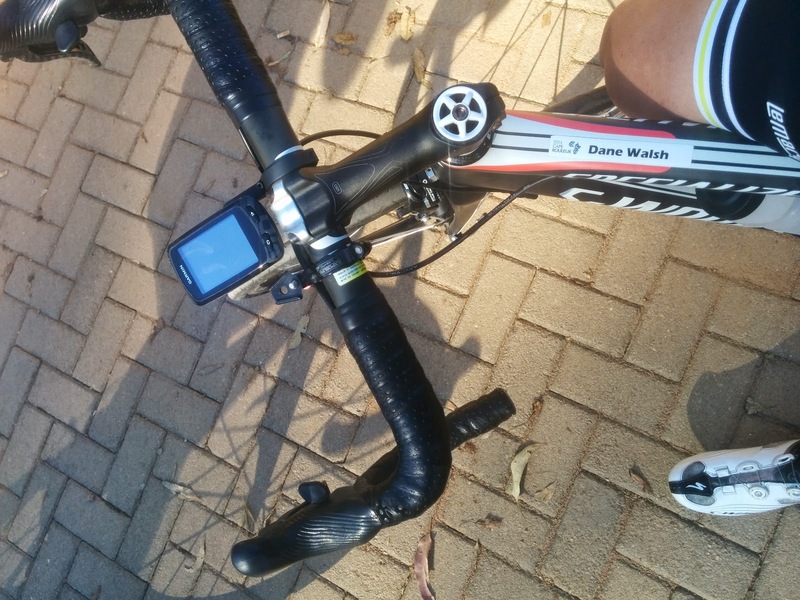 A lumpy 36km time trial. Just over an hour of riding. Yet I knew that a world of pain and suffering awaited me. 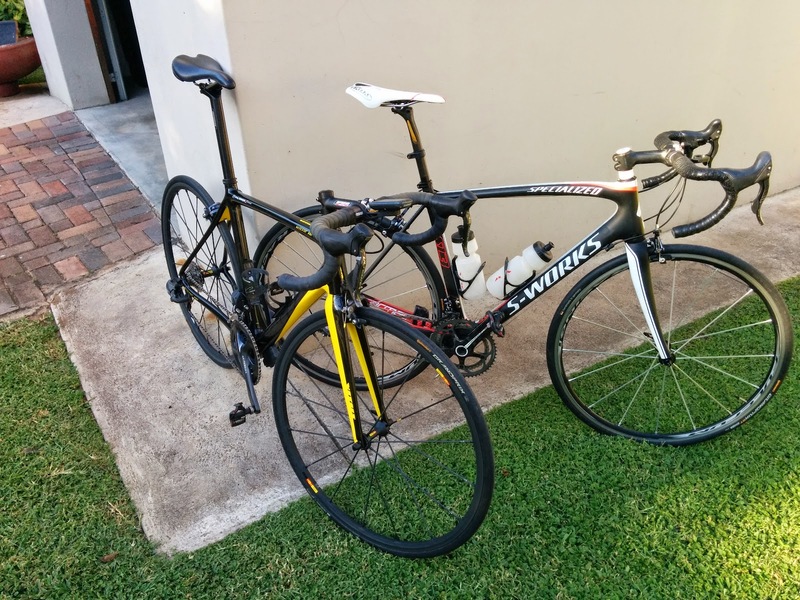 I'd rather ride for 8 hours in the middle of a Cape winter than have to endure the torture that lay ahead. Our plan for was simple - don't go out too fast, and hopefully have a good run to the finish. We had also lost a bit of time to Red John and the Pocket Rocket on the previous day's climbs, and we were secretly hoping that the flatter route would let us take back some of that time. Starting 19th last, in near perfect conditions, we rolled down the start ramp. From there on it was pedal to the metal as we took turns setting the pace. Unsurprisingly, I still didn't have climbing legs, and despite my best efforts we lost a bit of time on the early climbs. By the time we hit the halfway mark I was starting to warm up, and for the first time in days was able to contribute to the team effort. After what felt like an eternity, with snot and sweat flying, lungs gasping and legs aching we crossed the line for the final time. 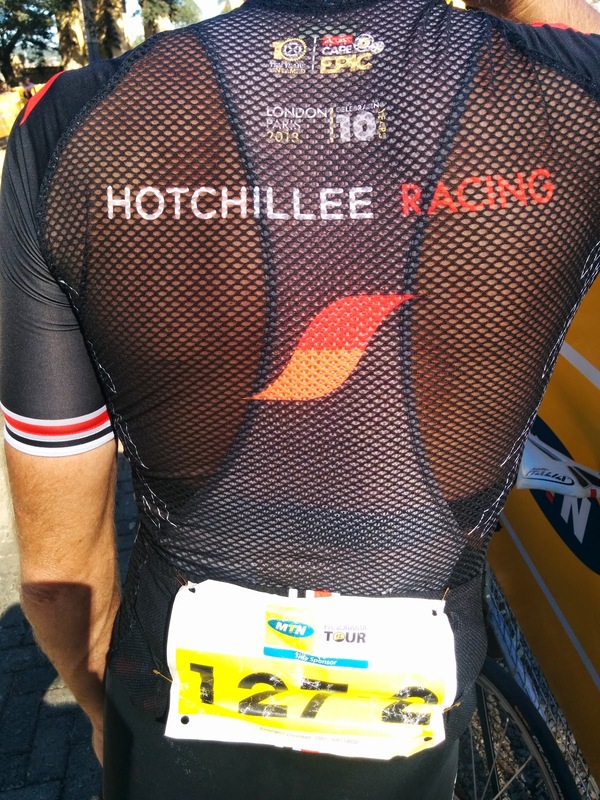 While we hadn't lived up to expectations, we'd had a fantastic time racing bikes in some truly magnificent parts of South Africa, and an added bonus being we'd pipped Red John and the Pocket Rocket by 6 seconds, for 18th place overall and 9th in category. 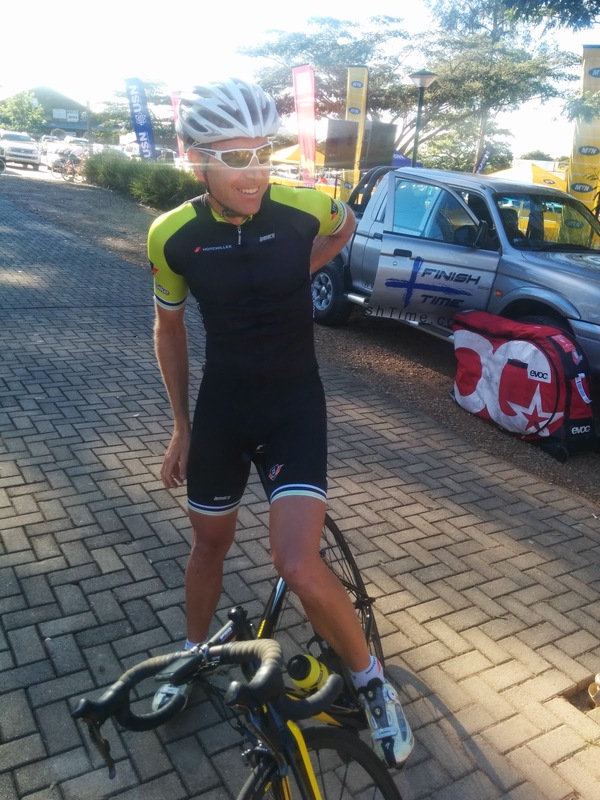 And just because he hadn't had enough fun riding bikes, we packed our bikes in the car and headed off to Sabie to ride Long Tom Pass - just because we could.